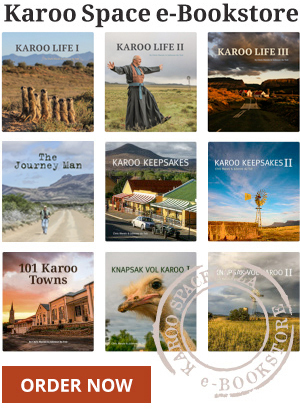 Die Hardemans Karoo is ‘n amper Bybelse landskap van klippe, bossies, skaap en die wasige hersenskim van ‘n donkie op die horison. Karoo Life III – AfrikaBurn! AfrikaBurn – in the Tankwa Desert. Featuring Carnarvon in the Northern Cape, near the SKA complex. Carnarvon is in the land of the corbelled house, the open horizon, the black-faced Dorper sheep, the wind pump and the aeroplane. Loxton, the place you may never have heard of, is well-beloved by its locals and well-favoured by seasoned Karoo overlanders. Vosburg is a little Karoo town with a grand array of shade trees. Come to Williston, taste the best milkshake west of the N1 and dance the heady Nama Riel. Nama Riel dancers and their shadows at the Williston Winter Festival.